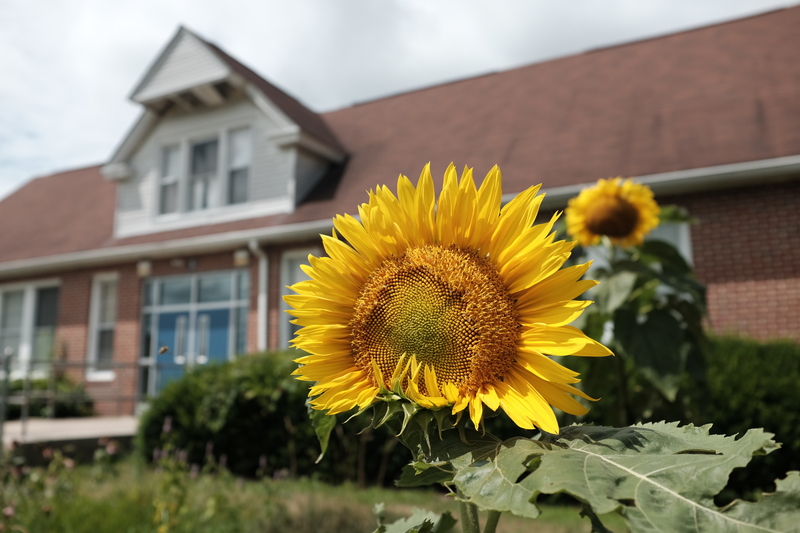 Sunflower in bloom out front of Bass River Elementary School. Bass River Elementary is a small school located in Bass River Township, Burlington County. Students and faculty are passionate about protecting wildlife and the habitat that’s required to survive. From headstarting hatching N. diamondback terrapins, composting, and raising monarch caterpillars, they know that hands on education is key to engaging future generations to care about our environment. We knew it would be the perfect place to create a wildflower garden to provide food for nectar feeding insects! Bee balm (Monarda didyma) in bloom. The project began as school was coming to an end for the year. Students helped as we prepared the site for planting and dug up and removed cool season grass, which provides very little to no habitat for pollinators. The soil was very tough and compacted, so it was very tough to prepare for planting. Once we removed all the grass, over several weeks, we planted the perennials and annual seeds in April and May. 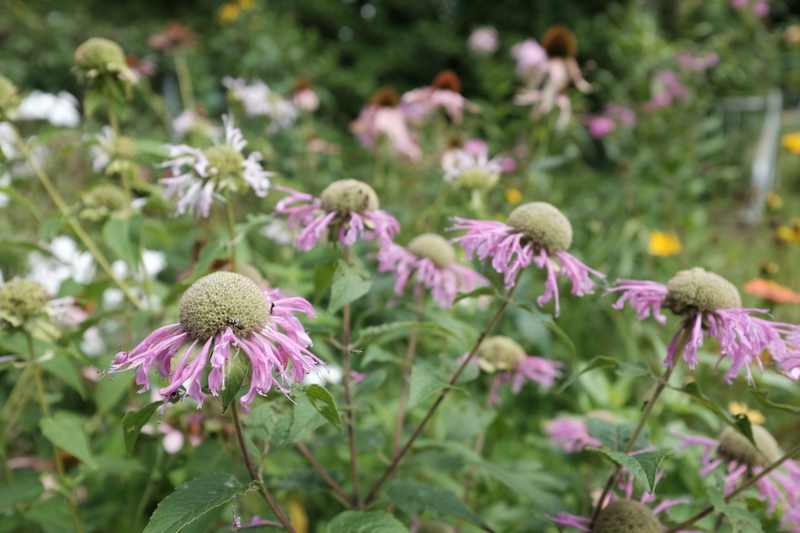 We selected a variety of locally grown, native flowering perennials which would help provide nectar feeding insects, like bees, butterflies, and moths, with a high quality food source, including host plants for monarch butterflies. The plants also benefit other wildlife, like small mammals and amphibians, which will use the plants as cover, and songbirds, which will feed on seeds produced by the plants in late summer and fall. 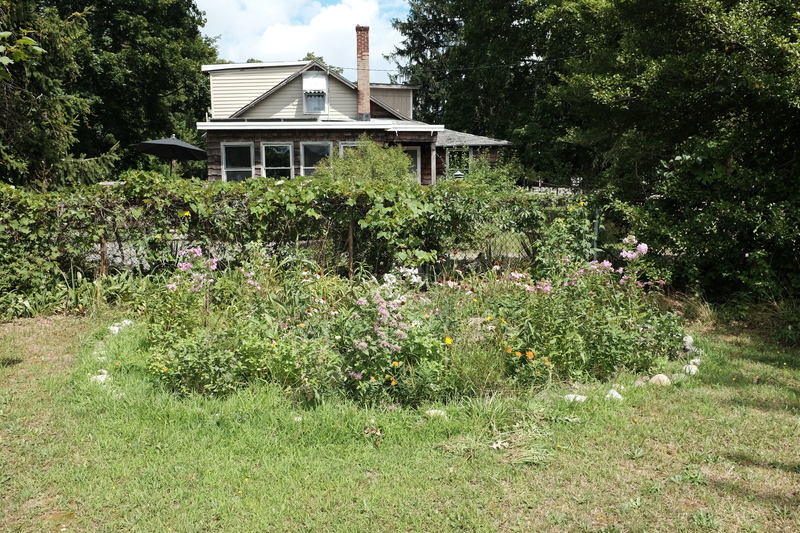 Among the species planted include: Common Milkweed, Seaside goldenrod, Butterfly weed, Anise hyssop, Blue Wild Indigo, Lance Leaf Coreopsis, Purple coneflower, Bee balm, Phlox, Cutleaf coneflower, sunflower, Zinnas, and an Eastern redbud tree. In addition to providing food for insects and songbirds, the small garden (approx. 96 sq. ft.) will also help to reduce the environmental impact of the school by reducing the amount of the lawn that is mowed. Even though the garden is small in size, we believe that it will grow and be expanded to other areas at the school. While the students have been enjoying their summer off from school, we’ve been busy making sure that the plants are growing well and being watered during any hot and dry conditions. We’re happy to help enrich both pollinator habitat and outdoor learning experiences for students from Bass River Elementary School. This fall we are planning to help get the garden established as a Monarch Waystation. Special thanks to everyone at Bass River Elementary and Atlantic City Electric for providing funding to support our work with pollinators in New Jersey! 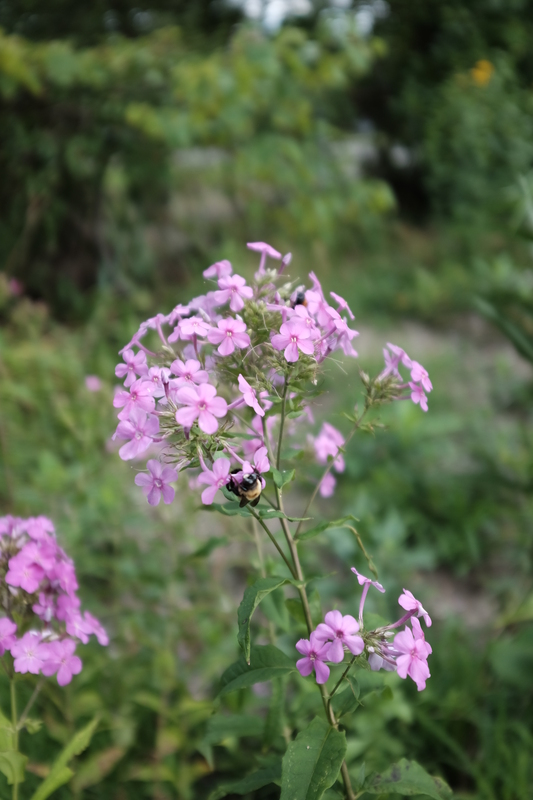 This entry was posted on Monday, August 13th, 2018 at 2:00 pm	and is filed under Invertebrates, pollinators, Wildlife Protection. You can follow any responses to this entry through the RSS 2.0 feed. Both comments and pings are currently closed.